Based on the Starkweather-Fugate killing spree of the 1958, in which a fifteen-year-old girl and her twenty-five-year-old boyfriend slaughtered her entire family and several others in the Dakota badlands. 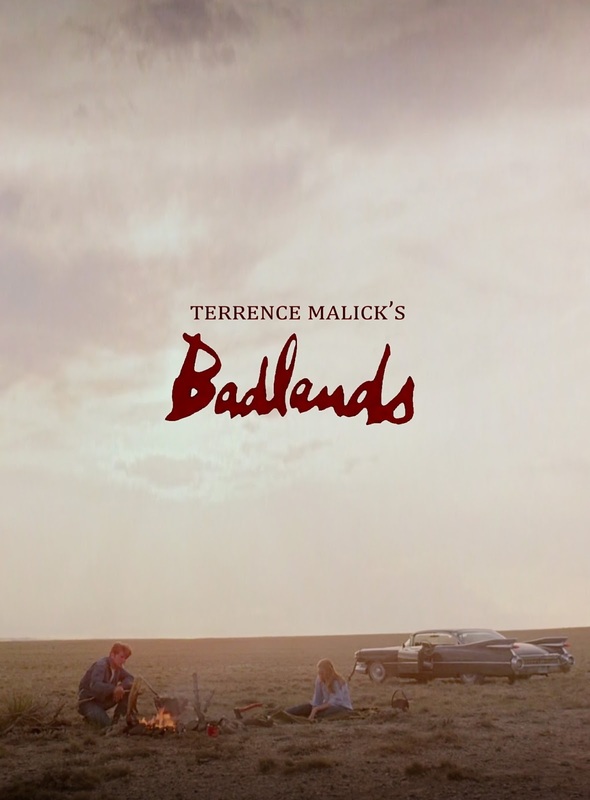 Many would say 2012’s “The Tree of Life” but for me Terrence Malick’s first film “Badlands” is still his best. The subject in hand is a horrific one. However the film never gets too brutal or violent, we see the innocence and inexperience in the young main characters even at their most monstrous. The film seems to never look down on them even after the murders they have committed, it simply follows them along, showing their good and their bad as they experience a short lived complete freedom of the world around them. The film is a disturbing look at what an inexperience of the world can do if it has been forced too fast. “Holly”, an innocent 15 year old girl runs away with the wild and edgy “Kit” after he kills her father and burns down their house. The two then live in what seems to be a perfect world surrounded by nature with a treehouse, unknowing to the fact that soon the world will catch up with them. The film at its core does not judge these two young people, but at the same time it does understand that the decisions they have made are very wrong. The pair go on to get involved in increasingly stressful incidents killing a number of people and showing no remorse what so ever. The whole scenario seems to be a game to them, the lives of people in their way seem to be so worthless to them that not for one moment do either of the pair really stop to think about what they have done and the mess they are in. Their innocence, love for each other and at times psychotic nature are the only things keeping the pair on this rampage. They are the young Bonnie and Clyde and they don’t even know it. Despite its harsh subject the film is never aggressive to look at. It remains in beautiful imagery filled with colour and the bright openness of the land. The film’s main musical theme manages to be playful, innocent and inspiring but still holds something very dark within its structure, something that I feel the song doesn’t even know is there. 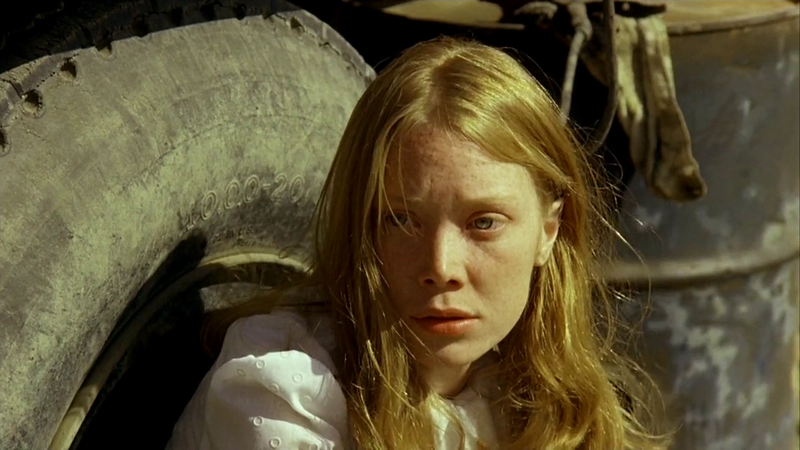 The two main performances from Martin Sheen and Sissy Spacek (both being a lot older at the time than their characters) are iconic and have a timeless element. They work perfectly for the “love-on-the-run” genre of film but bring with them a high degree of young “James Dean” like outlaw persona that takes the story to a new and unseen level. 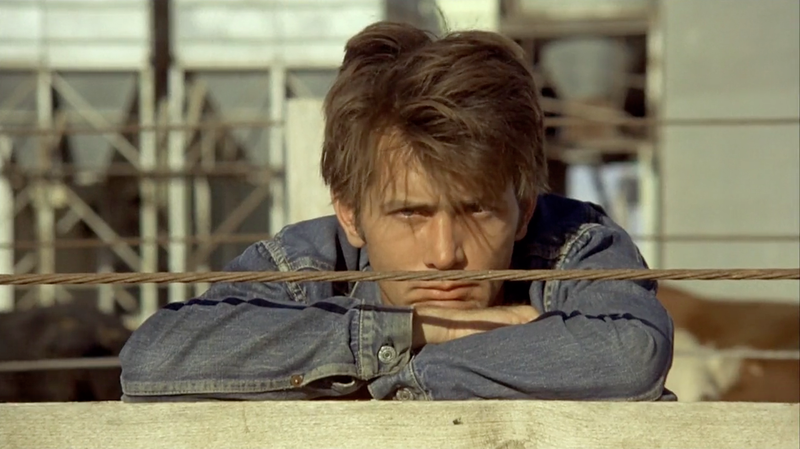 Badlands feels like a dark tale of rampage and murder told through the eyes of a child. It is playful yet disconcerting and comes to a resting conclusion that is both reassuring and partly sad. 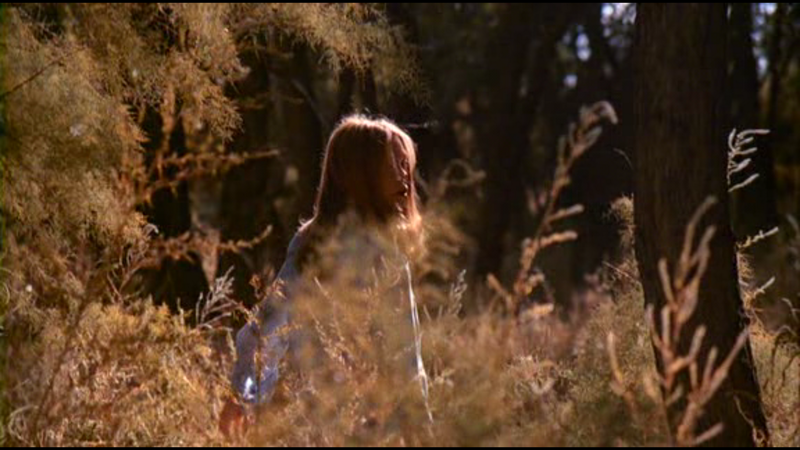 Malick’s style is eletric to watch and is still highly influential even to this day. A classic film, nice review! Definitely one of Malicks best, I didn’t go much at all on Tree of Life though! You hit a double here. One of my favourite films, from one of my favourite directors too. Admitting to bias, I still cannot think of anything that is remotely bad about this film. It captures the period, screams authenticity, and is just a cinematic joy to behold. Malick went on to continue this excellence, with ‘Days of Heaven’ in 1978, and much later, the (unbelievably often maligned) ‘The Thin Red Line’, one of my favourite was films ever. He has a talent for adding wonder to visuals, and getting great performances from his casts. Typo above; should say ‘War’ film, not ‘was’ film. I was overexcited! an absolutely stunning debut, and then he followed it with ‘days of heaven’. good lord, talk about a one-two punch. Always great to see it reviewed. Like the points you make. It’s amazing how poetic the music is, and the violence so strong. And the acting and cinematography are so dreamlike, like a fairy tale gone awry. An astonishing, magnificent and incredible debut. Have always wanted to see this one. I love Terrence Malick. Great review! Great review! My film discussion group analyzed why there is a seeming lack of remorse or explanation regarding the motivation of the characters in this flick, and wondered if it is because we are not watching their killing spree in real time? Instead perhaps we are watching an account given by Spacek’s character at a later point in time? A factual account for police records, or something along those lines? Food for thought. I always love reading reviews on this movie – great job! I’ve seen this once in my life – a long time ago and it made a big impression on me. I was too young to really ‘get film’ in the way I do now but I could feel the movie had tremendous power and that it wasn’t cheapening or glorifying what it was portraying.